Get the reality check you need to fight back against depression. Are you depressed? Have you tried the standard treatments, with few or no results? If so, Depression Smackdown is the book you've been waiting for. Therapy helps some; medication helps others. But depression can't be cured by any one approach. If you're still searching for the right depression treatment for yourself or a loved one, please, let this book help you heal! You're not alone - one in five Americans suffers from major depression! Do you need a reality check to help you start winning the battle against depression? Sometimes a catastrophic event can infuse you with the will to fight back. 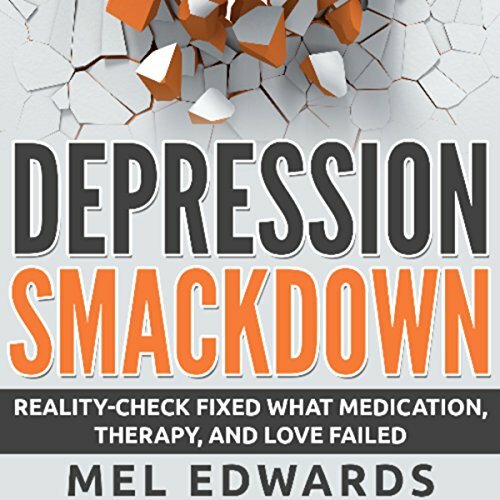 In Mel Edwards' Depression Smackdown, you'll discover what happened when she went to the ER for help - and was committed against her will. Let her story inspire you through your darkest hours! Depression is a global threat - the World Health Organization focused on it for the entire year of 2012 and observes World Mental Health Day every October 10th. Does someone you love suffer from depression? You can't "love depression away" or carry this burden for someone else, no matter how much you care. Hope and selfless acts can help some people, but these are often not enough. Let Mel Edwards teach you her five ways to help someone face depression. Don't wait - depression claims over a million lives worldwide every year! Quilting: The Ultimate Guide to Mastering Quilting for Life in 30 Minutes or Less!